Predictability – it was a term I associated with boredom, with the unimaginative, the fearful, the ones who clutched to stability like a shawl of mediocrity. It was the haven of those who shunned the arbitrary and the changing nature of all things; the unexpected and unavoidable truth of our existence. It was the ditch we all had to learn crawl into and drink tea at the bottom, comfortably, still making meaning knowing that death, entropy and all things ended or stopped when we least expected. We vowed, I vowed, the vowing happened down there to make every moment count. In the middle of editing a video, typing an invoice, opening emails, Skype work chats, and uploads my screen goes black suddenly. My mind and body having merged with the machine, I feel someone pulled the plug straight out of my back. I look around disoriented and then dread enters. Thunder rolls its deep baritone so far away in the distance that I can barely make out the sound before the second screen also goes black. Somewhere the gods laugh. Sad, pathetic human to expect predictabilty and consistency. I know better, it’s gone black many times before in the past month as the rainy season makes its early entry to Guatemala. I put my head between my hands and the only thing I see now is the green light of the power conditioner and battery back-up that has regained itself. I hear the brain, heart and soul of my computer start in the hard drive and I take a deep breath. No relief yet, just the expectancy when you jump one side of a river and hope your foot catches the other side just enough solid ground to make it over. The desktop comes up, but I cannot get into it, the computer freezes again before it goes black again, this time for longer. I do this a few times and each time it becomes more obvious I have stepped into a different part of the river and didn’t quite make it over. Perhaps I even fell in. 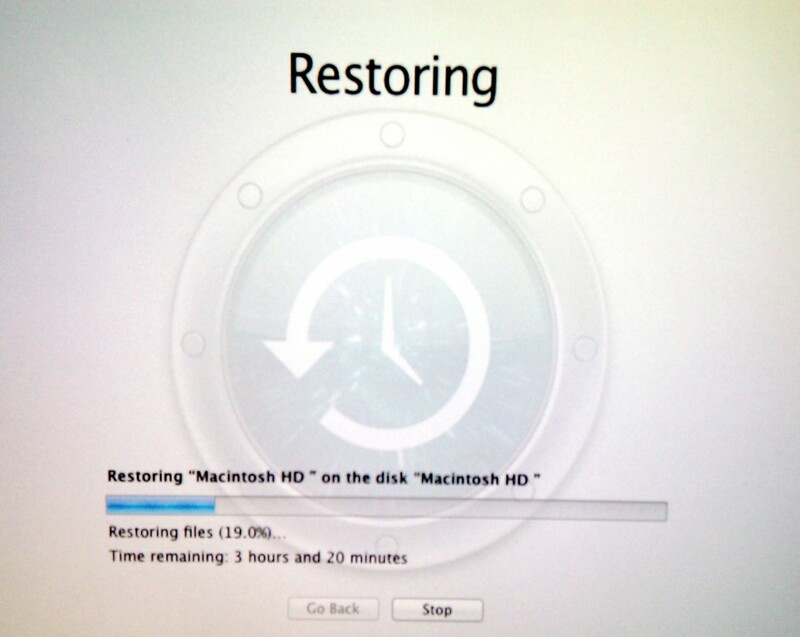 I start the restoring process from my back-up, 4 hours the status bar tells me. Minutes before I was moving fast, leapfrogging forward at the speed of light and now I’ve dropped back again into the ether. “Bossman say get your dirt out of his ditch, Luke.” Cool Hand Luke would then look up from deep in the ditch, rest his head on the handle of his shovel and then climb back up out of the ditch he’d dug for 15 hours straight. He’d dig another ditch and pretty soon the Bossman didn’t want that dirt there either. What breaks a person? Can a person be broken? Does bamboo break? On the roads there are more military, policy and traffic checkpoints at different spots; the sidewalks are uneven so that wheelchairs are a rarity, pedestrian crosswalks are also rare, so people with babies cross impulsively the six-lane Roosevelt Avenue during rush hour; sometimes you wake up to Internet, but many times it’s a one-night stand; on a sunny day the electricity vanishes for hours and the water trickles in the evenings long after the tourists have abandoned the area to its long and slippery slope into rainy season. There’s no point to this piling up, things have to be seen independently in their own reality, microcosmically you look at your feet when you walk so you don’t fall. And if you fall you depend on the ground as the only solid thing that you can push yourself back up from. On Friday the church bells of San Francisco did not ring at 6:30 AM. The day before I stopped setting my alarm clock and told myself it was OK to expect the bells to wake you, to always toll for my morning tea. Silly human. My class schedules change every week, there is no clear school calendar, and the parking we once had to park safely is also no longer something I can depend upon. I stop going to class, it’s too complex, the costs are too great for the little knowledge I gain in Guatemala City’s infamously targeted Zone 10. More and more I yearn for predictability. Do I grow old? Do I wear my trousers rolled? I tell myself it is natural to expect certain things to remain consistent and predictable. A society has to have predictable processes, the atoms depend upon it. I am happy to double roll my pants to cross from one side of the street to the next when it rains and the sewers will not drain and the cobblestone of the streets is missing cobblestone. It’s a developing country, what do you expect? The fact is I expect more. My Guatemalan mother expected more when the 15-hour days at United Fruit was her best hope for a stable life; her family expected more from three plus jobs in La Limonada where seven of us lived in a two-room shack along the cerro where the world ended. If a sinkhole opened up and swallowed us, nobody would have missed us. We all expected more back then in 1977 when my mother became a coyote, when her family all quit United Fruit, when we charted unknown terrain through Mexico, when we became undocumented labor arms moving with the waves and seasons of labor – chicken plants, tobacco, cotton, fruit picking – to find a place where we could expect and do more. I made my way back because I expected more. I expect more. I don’t expect “developing” to be a word akin to resignation to things as they are, to the end that all things will meet. I expect developing to be more “we’re under construction” or these are our first steps, the first bricks, not grains, bricks we all put down to build something, an edifice, a monolith, a social body and state that is less fragmented, less dismembered, less Darwinistic. Posted on Sunday, April 22nd, 2012 at 5:32 pm. Filed under: Blog, Guatemala	RSS 2.0 feed. Take heart, there is improvement. I have only been coming to Guatemala for ten years yet in that short time there has been real improvement, the roads are better, there are bridges where there were none, the grid is poking into new areas all the time. I tell people: Go now before its gone because it is changing and that is a good thing. I started going to Mexico about 30 years ago, Guatemala is ahead of where Mexico was 30 years ago, not where Mexico is today but Guatemala is getting better from what it was. On your education: read-read-read, you write well, practice and publish, the e-book market place is just getting started. I suspect you are past the point where you need someone to tell you how to learn. –There is real improvement in Guatemala since I lived there first in 2001. But is a 2-steps-forward, 1-step back kind of improvement. First it was Arzu followed by Portillo. Construction on the Antigua bypass stopped the day Portillo took office. Now, from the looks of it, Perez Molina will undo the progress made under Colom. But there will be an administration that follows Perez Molina, and that administration might be a good one. –Young Guatemalans give me hope. They are much more curious, more willing to ask hard questions, more willing to unearth the past, more willing to hope for the better, than their parents. They are interested in learning, even if it’s just by watching the Discovery channel. They are more worldly, thanks to the internet. Perhaps they have higher expectations for themselves and their country than their parents did, precisely because they grew up during a time of improvement, of moving forward. You may not see it because all you see are your classmates doing shoddy paperwork and plagiarizing their reports. –Your writing has really improved from when you first started this blog. Kudos.